(HealthDay)—Three experimental Ebola vaccines trigger an immune response that lasts for more than two years against the deadly disease, researchers report. In addition to being welcome news for the Ebola outbreak that's now spreading throughout the Democratic Republic of Congo, this success story is spurring research into the development of similar vaccines for other infectious diseases, the researchers added. In the new study, British scientists analyzed blood samples taken from healthy volunteers who had received one of the three Ebola vaccine regimens more than two years earlier. 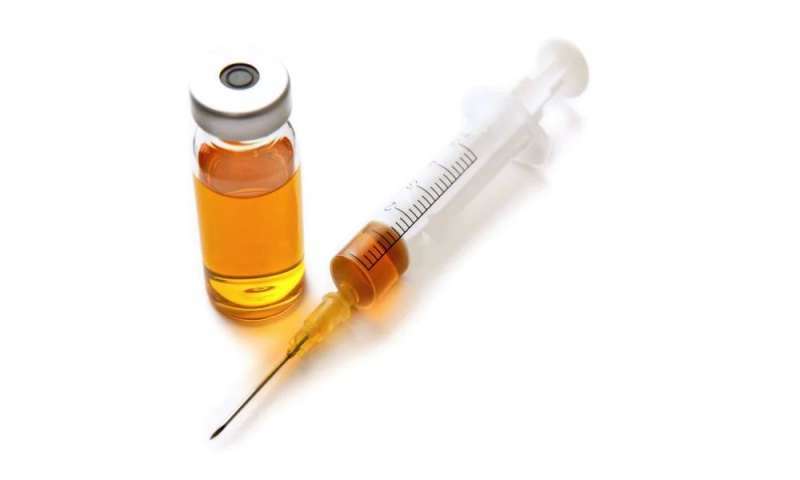 The results showed that all three vaccines "were still producing a strong antibody response to the disease two-and-a-half years after immunization, which is really good news," said study co-author Katie Ewer, from Oxford University in the United Kingdom. The study was presented Monday at the American Society of Tropical Medicine and Hygiene's annual meeting, in New Orleans. One of the vaccines is already being used to fight the outbreak in the Congo that aid workers are struggling to contain because it is unfolding in a highly dangerous conflict zone. With 155 deaths already confirmed since Ebola was declared in the country's northern region in August, fears of a cross-border epidemic are rising with new cases reported close to the Ugandan frontier, The Telegraph reported this week. Meanwhile, the other two Ebola vaccines are being used as platforms for new vaccines against several other diseases with the potential to cause epidemics, including Lassa fever, Nipah virus disease, and Middle East respiratory syndrome coronavirus (MERS-CoV). "The Ebola vaccine work that intensified after the outbreak in West Africa [2013-2016] has produced an explosion of vaccine development that could leave us much better prepared to fight other outbreaks of infectious diseases," Ewer said in a society news release. "It has helped policy makers and funders understand the need. And that support has helped validate new vaccine platforms, including one that is adaptable for a number of viral diseases," Ewer explained. Study co-author Dr. Matthew Snape, who's also from Oxford, said the findings "will be invaluable when deciding which strategy to use to induce long-lasting protection, for example in health care workers in areas at ongoing risk of Ebola outbreaks." Snape added that "another important question is whether the persistence of this immune response can be enhanced by giving a 'late-booster' dose of vaccine 3 to 4 years after the initial immunization, and we will be studying this in further work in the U.K. and Senegal in the coming year." More information: The U.S. Centers for Disease Control and Prevention has more on Ebola.